A British company will create 30 jobs next year and a firm in Cork has already begun recruiting for 38 new positions. TWO MULTINATIONAL COMPANIES are to create 68 new jobs, with one company recruiting already. British company Aon, which provides services in risk management, insurance HR and retirement solutions, will make a “significant additional investment” in its Dublin based innovation and analytics centre with the creation of 30 new “highly skilled” roles, it said today. The centre opened in 2008 and already employs 100 of the company’s 600 workers across Ireland. “The calibre of our Dublin based team, our analytical tools and the nature of the insights that we share with clients across the globe is a real differentiator for Aon,” Constantin Beier, CEO of the Dublin centre said today. Separately, in Cork, medical devices firm Depuy announced a $36 million investment in research and development which will support 38 new positions at its Ringaskiddy plant in Cork. Commenting on the announcement, junior minister Seán Sherlock said it is “further proof that Ireland continues to be a key location” for companies in this area of industry. Just last week, Forbes magazine named Ireland as the best country in the world for business – something Taoiseach Enda Kenny has been saying for years. Recruitment for the new positions at Depuy has already begun and details of the positions can be found on the company’s website. 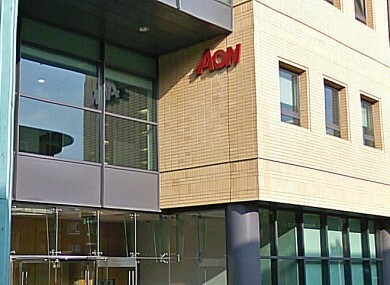 Aon will start to recruit for the new roles in March next year and details can be found here. Email “68 new jobs announced in two multinationals”. Feedback on “68 new jobs announced in two multinationals”.